Welcome to the first post of 2011. I hope this year will be exceptional with all of your plans and dreams being successful. The focus for many Queenslanders for the past month has of course been on the floods. Other places in Australia have also been and are still are suffering. These have been extraordinary times. It is the spirit of many Australians and the sense of community that has shone through. I have been very fortunate and have not been affected. I would like to share with you some projects that I have been working on since the last post. 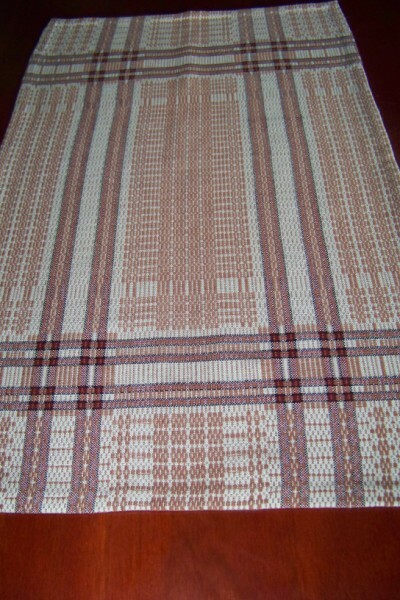 This tray cloth was woven on 4 shafts. The weave structure is crackle. 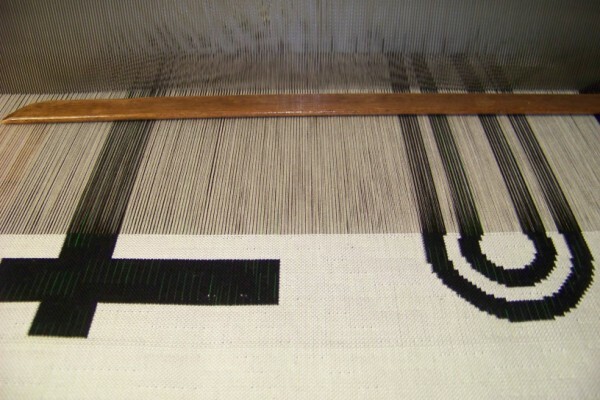 It is threaded with 4 blocks but woven using only a combination of 3. Later on in the year I will be teaching a week’s workshop titled Building Blocks for Fibres Ballarat (13 -20 April. www.fibrearts.com.au), Textile Arts Academy, Brisbane (20-26 June www.textileartsacademy.com.au) and Sturt Winter School, Mittagong ( 4-8July www.sturt.nsw.edu.au). 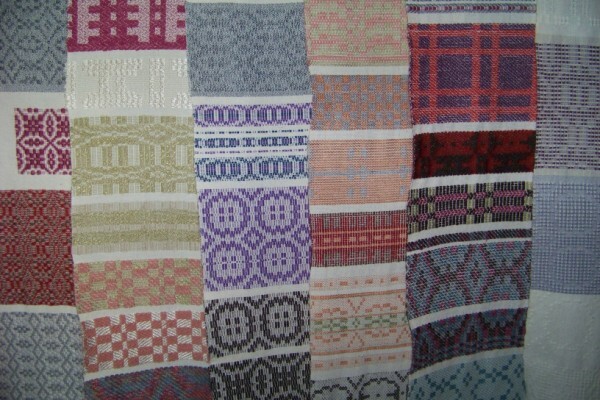 I have used this month to prepare and to weave a number of samples. This is a view of some of the samples. These will be some of the techniques to be explored in this class. See the websites for what will be on offer at each venue. It is quite amazing the diversity that can be achieved from the one design. Lastly, I have embarked on a challenge. The design is drawn up, the loom threaded and the weaving just begun. It will take some time to complete. You are currently browsing the Kay Faulkner's Blog blog archives for January, 2011.